The ear is the organ of hearing. It is divided into 3 parts, the external, middle and inner ear. 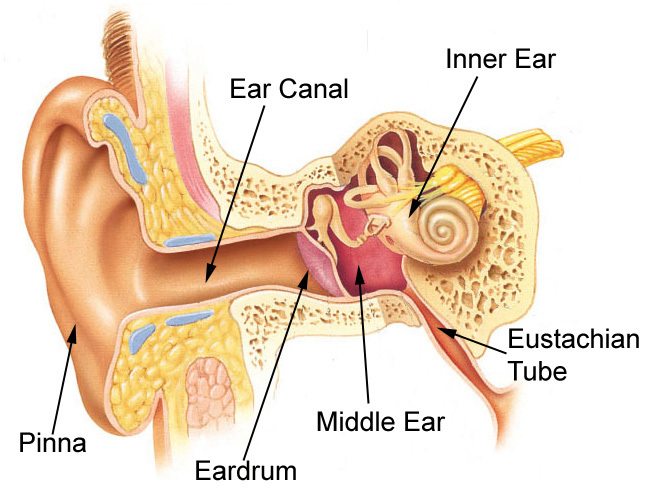 Sound travels through the outer ear, then into the external auditory canal to the eardrum. Sound causes the eardrum to vibrate and these vibrations are transmitted, via the middle ear bones, to the fluid filled hearing organ, the cochlea, where sound is transformed into nerve impulses. The impulses are then sent to the brain via the auditory nerve and there they are translated to sound. 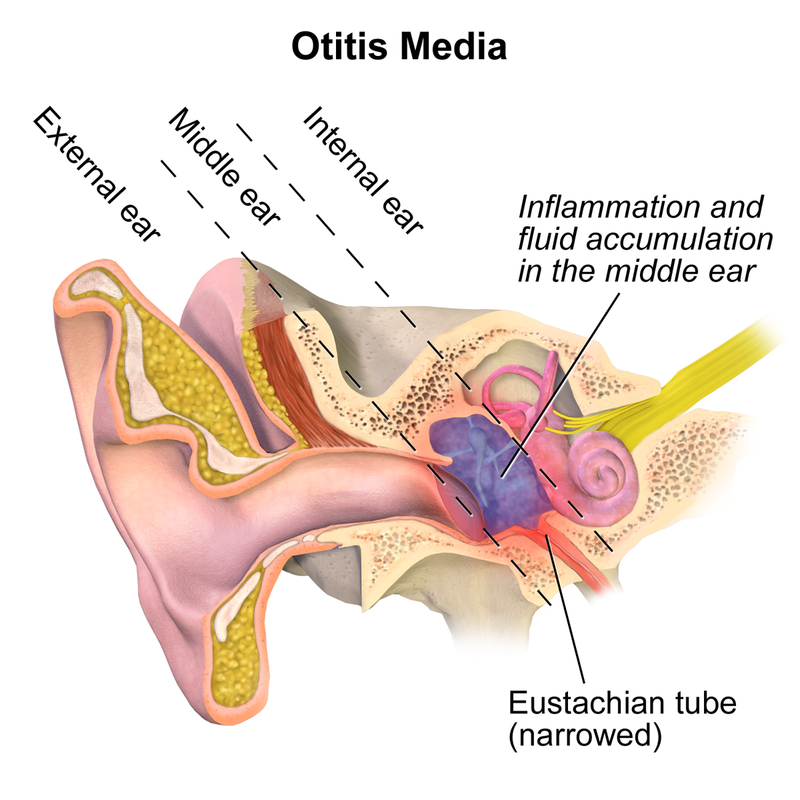 Otitis media is an inflammation or infection of the middle ear. It is very common in childhood, but may appear at any age. It is usually associated with a fluid effusion that may remain for a long period of time. This is called Chronic Otitis Media with Effusion. Inflammation or infection of the outer ear and ear canal. Otitis externa usually presents with earache and discharge. This is the sensation of “ringing” or "noise" in one or both ears, when no sound is actually present. It is usually a result of hearing loss and is a common complaint. This condition occurs when sound signals are not reaching the brain. The are 2 types of hearing loss, sensorineural and conductive. The type of loss depends on where the problem is located. This is a slow growing, benign tumor arising from the Schwann cells of the vestibulocochlear nerve travelling from the inner ear to the brain. It is most common in the 5th and 6th decades and affects both sexes. It usually presents with hearing loss and dizziness. This is an infection that affects the air cells of the skull behind the ear. It is caused by untreated otitis media. Its incidence has fallen down considerably with the use of antibiotics. Classically, this is a syndrome of vertigo, tinnitus and hearing loss. It affects the inner ear and can be quite debilitating. It tends to recur and can cause worsening hearing loss. Is a disorder that is thought to be due to loose particles in the labyrinth. It is one of the commonest causes of vertigo. Episodes last several seconds to a minute and are caused by rotating the head to the side, usually in bed. This is a condition where a cyst-like skin growth develops in the ear. If it is not treated, it continues to grow and damages the structures of the ear, such as the ossicles.